Luggage is so personal, particularly for travel. It is frankly impossible to name one suitcase that is THE best travel luggage. Not to mention since the companies change them nearly every year so what may be the best luggage this year for airplane travel may not be available next year. 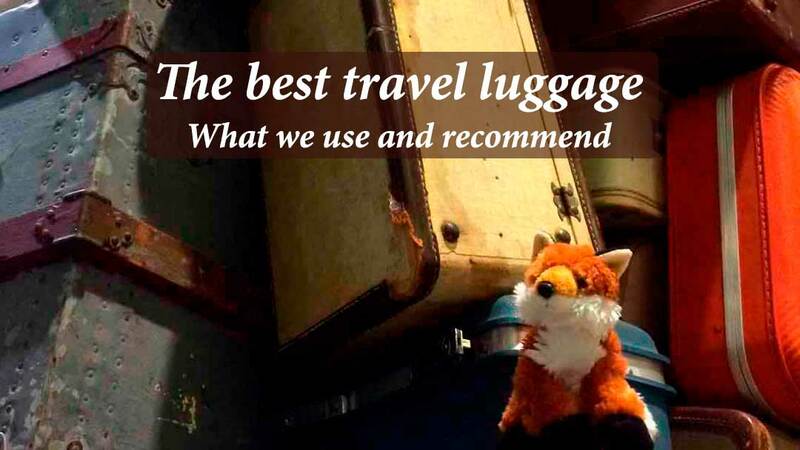 Our team spends many days out of the year living out of luggage of all makes and sizes, so here’s our view on what makes the best travel luggage for trips that require an airplane (or boat or train for that matter) to get there. And, we’ll show you the brands we trust and use ourselves to help guide your buying decisions. Do you want to carry it on or check it? How long is your trip? 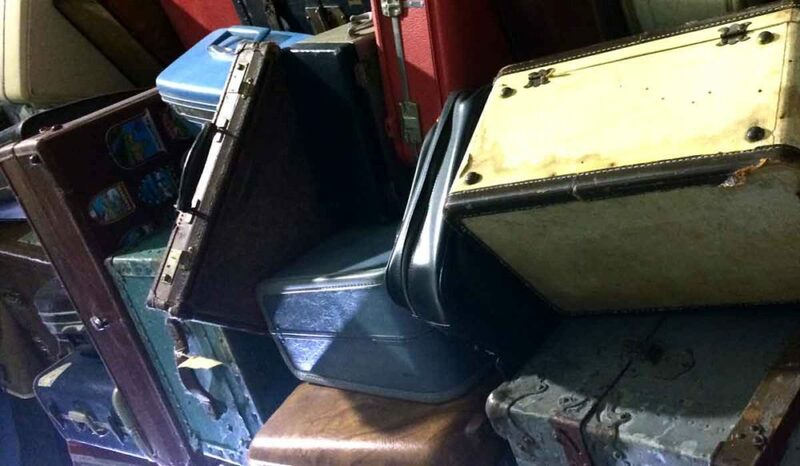 Carrying on a suitcase and living out of that on a trip is a great ideal. We know all the travel gurus who claim they do it. We travel very light – mixing and matching and hand washing all along trips of several weeks. The problem is, we are active, athletic and adventurous, so packing running shoes, trekking poles, a pack, and the gear needed (even lightweight gear) in a carry-on is near to impossible. That means our best travel luggage pieces tend to be 25-26-inch pieces. These offer in our opinions just enough room for that other gear while still being manageable on DIY trips on and off trains, planes, ships, buses and autos. HITT Tip: Know the size and weight of your bag! Planning to carry on or will you have to check? Wondering if your bag might be oversized? For carry on sizing in the U.S.A, a 22-inch by 14 inch by 9 inch bag (45 linear inches — adding length plus width plus depth) will typically fit in the overhead compartment or under the seat (max weights are 40 pounds). But internationally standards vary widely with max weights typically restricted to 15 to 22 pounds and max length only 21 inches. Checked luggage can get more confusing. Most commonly bags in excess of 62 linear inches can be considered oversized, and anything over 50 pounds considered overweight — meaning extra charges. Travelers beware! Do check with your airline prior to any trip. Every airline, like American Airlines here, delineates specifics on its website. We firmly believe in wheels. Getting between buses and trains, around towns and through lodging is a whole lot easier when you can roll the bag — unless you are going straight to a resort with valets. We prefer hybrid suitcase-duffels rather than pure duffels that are one shapeless huge compartment. And those wheels better be durable to handle gravel, cobblestones, banging down steps in the Paris metro or whatever you deal out. On our last trip, I actually saw an American couple in Europe roll a rather large suitcase off an escalator, there was a CLUNK, they stopped to look at the bag and then I heard him say, “well, three wheels are better than none.” I suppose, but to be a best travel luggage piece we want to come back with all the wheels we left with. 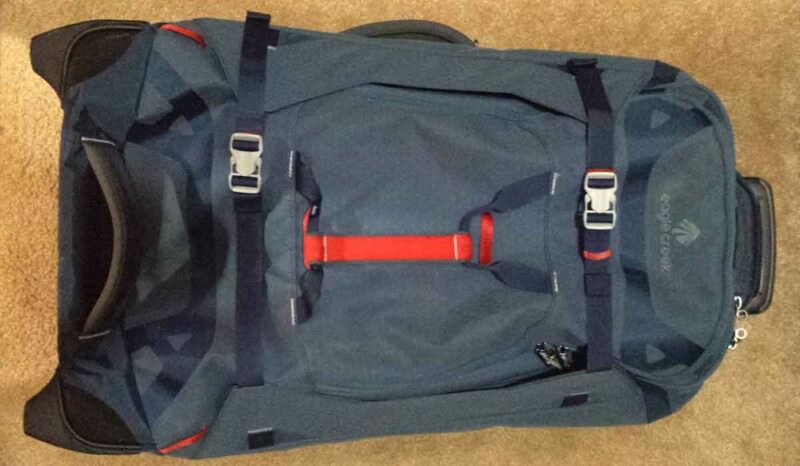 HITT Tip: Read a review here of a four-wheeled bag from a really good brand, Eagle Creek. Our report may help narrow your choice between 2 and 4 wheels. Housing tubes for handles. Wherever there are wheels, there are handles and wherever there are handles there are housing tubes that are an integral part of the frame running down the back of the bag. There are two schools of thought: Put them INside the bag to protect them from breakage. Or put them OUTside the bag to save room inside the suitcase. 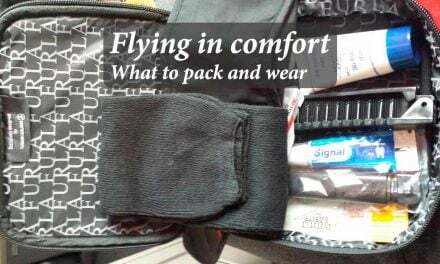 We have mostly had them inside the bag and believe that will indeed save you from breakage mid-trip and having a bag without a handle. You just have to pack smartly in this case by putting things, like soft jackets or long Eagle Creek packing cubes (we mention here in our Packing Tips story), between the frame tubes to not waste space. Soft or hard. Our best travel luggage is without a doubt soft-sided. It allows more flexibility in packing. You can compress it if you have less and let it bellow out if you have more (like all those presents you will buy us and carry on your return trip). Secure compression straps. 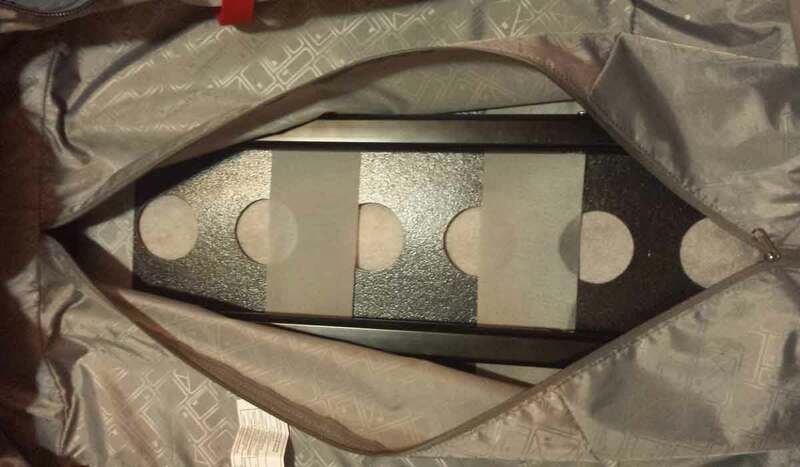 If you have soft luggage, there will (or should be) compression straps. Most bags we would consider as worthy for the best travel luggage category will have compression straps both inside and out to help you secure items and press them down to save space. Make sure the material and buckles are super secure and very durable. No straps on luggage? Find another. Durability is key. You want that King Kong luggage agent to be able to throw it around and have your best travel luggage survive. Can you really tell when you buy it? Suppose not. But then again you will have a gut feeling. Listen to it. If it feels cheap, well, it likely is. If it feels flimsy, well, it likely is. If it feels wobbly, well, it probably is. Do not try to save money on this piece that will hold your life for a few weeks or more. Make sure you will love it for years. Travel security. Depending on where you travel, protecting your luggage and its contents from opportunistic thieves is becoming increasingly important. Features such as RFID-protected pockets, slash-proof steel mesh lining, built-in or optional steel cables to secure luggage to an immovable object, or locking and lockable zipper pulls are your consideration. We believe lockable zipper pulls and zippers that are designed to prevent thieves from using a pen to easily force them apart are bare minimum features. For the ultimate in travel security protection in your luggage, look no further than Pacsafe. 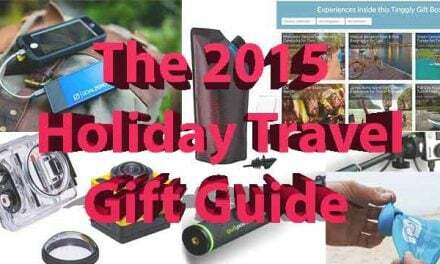 Read more about Travel Security Gear We Rely On Anywhere We Go. Top brands in reliable stores. In choosing a piece that you hope will become your best travel luggage, let’s not go to the lowest-end store around, ‘kay? This is an investment. You do get what you pay for when it comes to luggage. Stick with reliable brands that have been around for while. 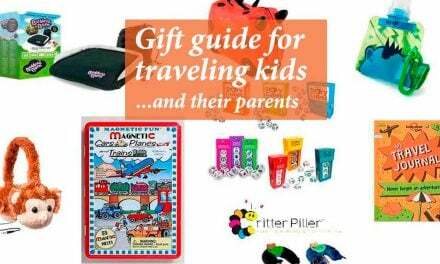 To make your decision, visit a few travel and outdoor stores – both reputable chains and specialty stores – and try the luggage. Wheel it around the store. Open it and close it. See how workable and intuitive straps and handles are. Back that up with online comparisons. But we will tell you from years of experience that seeing a piece is worth its weight in gold. Pacsafe has built its well-deserved reputation on products that keep your possessions and information secure. Its product line includes camera bags, suitcases, backpacks and portable safes, not to mention cables, locks and security accessories. We have recently tested and fallen in love with the Toursafe Exp29 wheeled gear bag. Its versatility and durability shined through during an Argentina adventure featuring seven flights, and a week of banging around the dusty high-plateau of Puna in a 4WD. 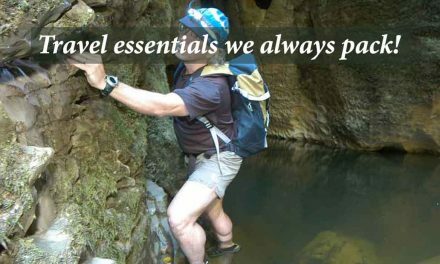 Eagle Creek was founded in 1975 and is still turning out great travel gear, from basic daypacks to accessories to luggage. In our reviews, you can find the Gear Warrior AWD suitcase and the Load Warrior Wheeled Duffle (updated version available). Most recently we have been using the sturdy Cargo Hauler 90L duffle as a carry-on that also turns into a backpack for short hauls or around-town use. Thule – yes, the brand known for roof racks – also makes amazing luggage and packs. The looks are stylish, and the luggage is extremely durable. 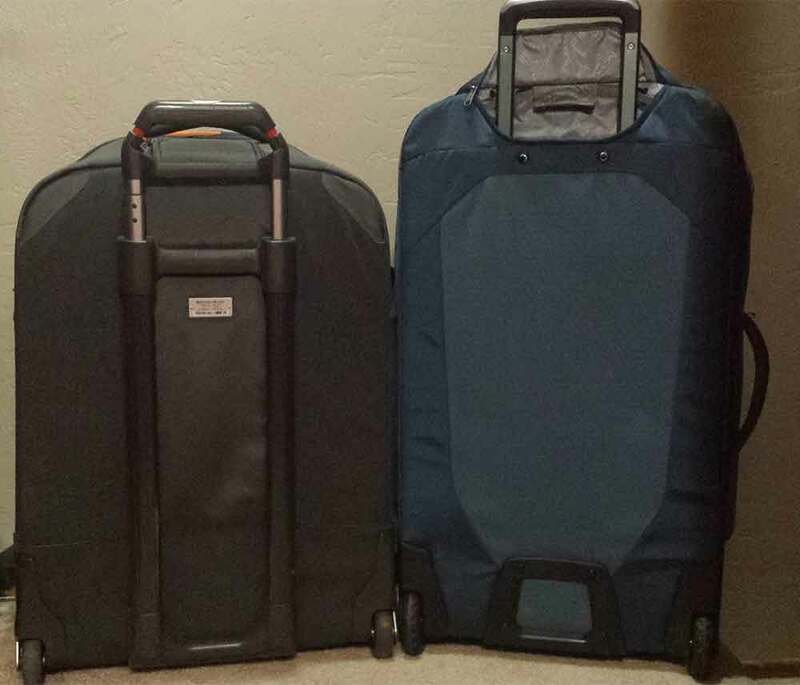 We’re still using both our Thule Crossover Rolling Duffel and the Thule Crossover Carry-On we first tested more than five years ago. Cotopaxi is a small adventure travel brand named for a volcano in Ecuador and a with a llama incorporated into the brand logo. The company is rabid about making gear “for good” – supporting cultures, people, and making a positive impact on the world. Little wonder we like them. The travel packs and duffels are quirky, and not for everyone, but we’re still using our Uyuni 46L Duffel – a hybrid-duffel with multiple external handles, a padded laptop sleeve, laundry pocket, and a single cross-the-chest and stowable shoulder strap. Perfect as a carry-on although not ideal as an around-town bag/pack since it only has one strap. Mystery Ranch was founded in 2000 by veteran technical backpack designers. Initially, the focus was on producing gear for special forces, wildland fire fighters, and hunters and this focus on durable, functional, feature-laden gear found its way into a nifty travel duffel – The 40L Mission Duffel. At 40L, with stowaway backpack straps, a removable shoulder strap, four interior pockets and exterior zippered pockets, it is perfect as an ultimate carry-on. In searching for a multifunctional carry-on that would work for everyday and backpacking, we also found the women’s Cairn and adored it! Other brands to consider that we have used, but are not currently in our active rotation of bags, include Osprey, Samsonite, Briggs & Riley, and The North Face, as each of these brands do know how to manufacture travel-durable gear. Award-winning travel writers, Michael Hodgson and Therese Iknoian, use words, art, video and photography to guide you on their journeys around the world, and inspire you to embark on your own travel adventure soon. They are members of the North American Travel Journalists Association and the Professional Travel Bloggers Association.